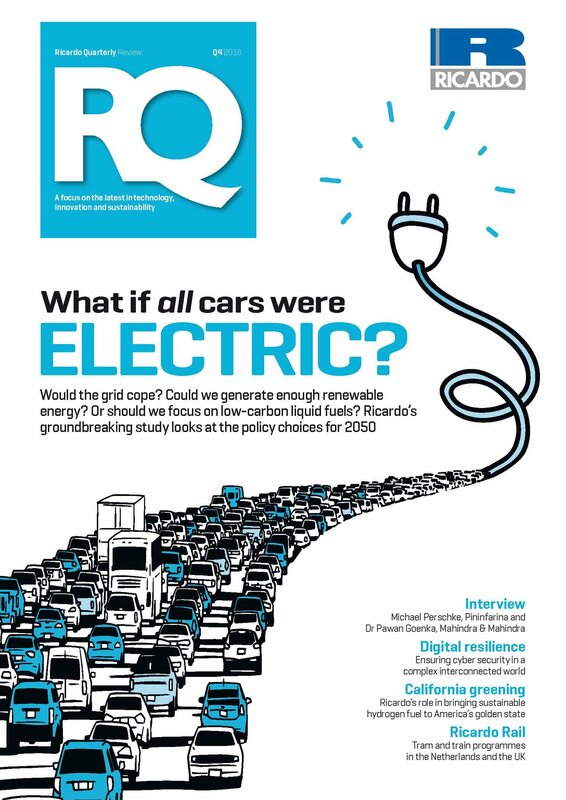 As California looks to dramatically increase the use of hydrogen as a sustainable fuel, Ricardo's Marc Wiseman and Bill Elrick explain the California Fuel Cell Partnership. infrastructure of 1000 hydrogen filling stations to support them. The CaFCP estimates a reduction in gasoline consumption of over 693 million US gallons, with NOx emissions reduced by 3.9 million tonnes. Based on today’s energy mix of 33 percent renewable hydrogen, it also predicts a reduction in greenhouse gas emissions of 2.7 million tonnes. These numbers can be significantly boosted by increasing the proportion of decarbonized hydrogen. virtuous circle, the production of hydrogen by electrolysis can be used to expand the total output of renewable electricity eventually delivered, which helps improve grid stability and efficiency across the entire generation system. Earlier this year Toyota announced the next great leap towards the future of zero-emission trucking when it unveiled the second version of its Project Portal hydrogen fuel cell electric Class 8 truck. The new ‘Beta’ truck significantly exceeds the capabilities of the ‘Alpha’ demonstrator revealed in 2017, with a 50 percent greater range of over 300 miles per fill. The truck has enhanced versatility and manoeuvrability with the addition of a sleeper cab and a unique fuel cabinet combination that further increases cab space without increasing the wheelbase. Ricardo assisted Toyota with a wide range of engineering functions on both this vehicle and the previous Alpha demonstrator. These included systems integration and packaging, including the fuel cells, power electronics, hydrogen tanks, cooling systems, batteries, electric motors and transmission. Many of the ancillary systems that are traditionally driven by the engine were also electrified, including the air compressor, power steering and HVAC system, the controls of which required integration into the vehicle’s J1939 CAN BUS. Both the Alpha and Beta vehicles were constructed by Ricardo at the workshops of its Detroit Technology Campus located at Belleville, Michigan.